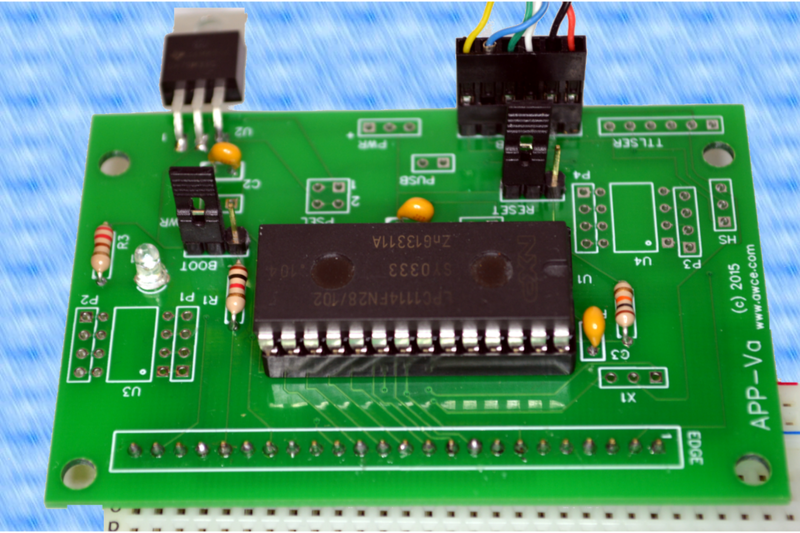 It is easy to get comfortable with 8 bit microcontrollers. But there's a whole world of larger faster controllers out there. But what if you don't want to surface mount funny packages or use some complex development board? Why can't you have a normal DIP part on a breadboard? Now you can. 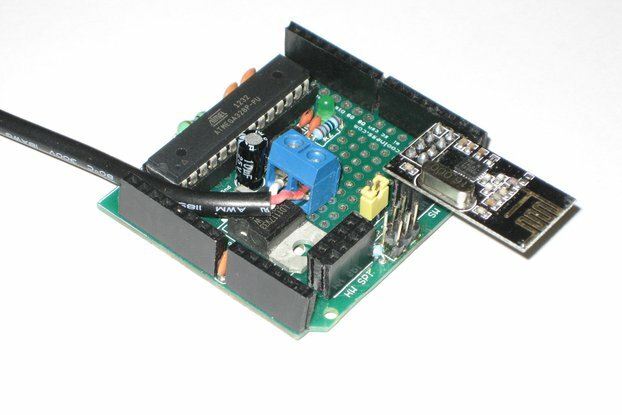 The NXP LPC1114 is a 28 pin DIP that contains an ARM Cortex M0 device that runs (by default) at 48MHz. You get 32K of flash memory, 4K of RAM, and plenty of I/O peripheral choices. The chip contains a bootloader, and you can use the free (and excellent) online mBed environment (or any ARM toolchain that you like). All you need is a USB port. The board is very flexible, too. You can select from a variety of power and communication options. There's also two spare 8 pin DIP footprints for prototyping. 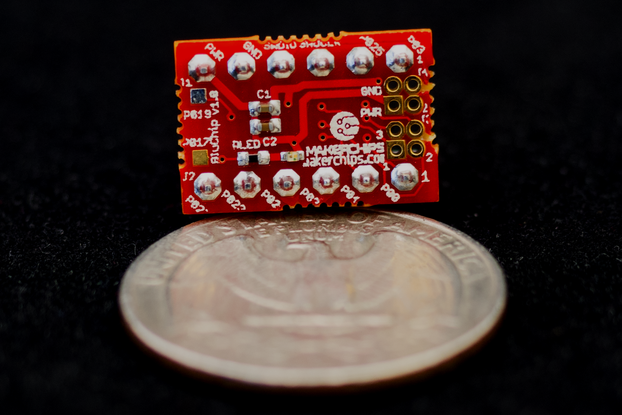 Perfect for an op amp, a EEPROM, a Bluetooth module, or a can oscillator. 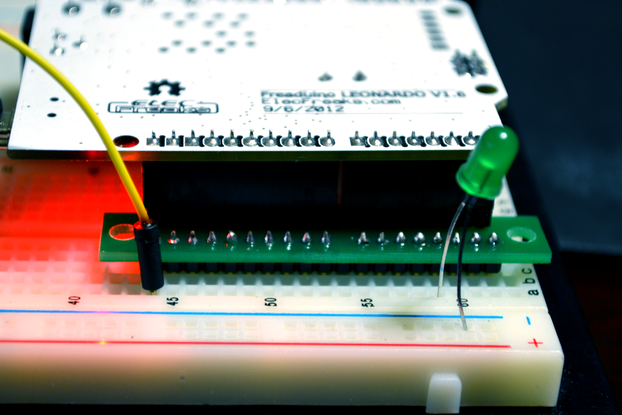 Of course, since it is a kit, you can put the header in to plug into a breadboard (as shown; breadboard not included). Or you can wire it into your circuit of choice directly. 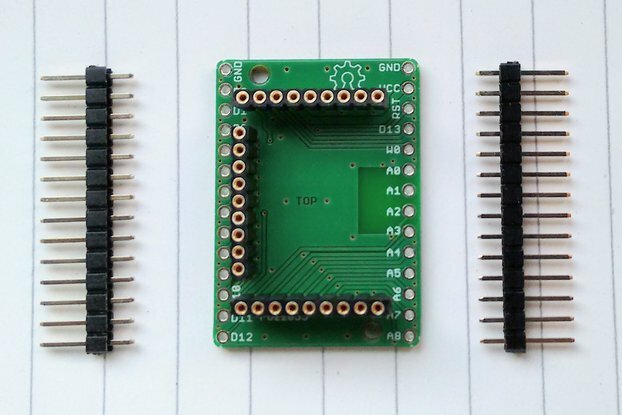 This is an easy kit to solder with all through hole components.